Welcome to the new site. My old Blogspot site was beginning to look decidedly dated, so I’ve moved to a self-hosted WordPress site that hopefully looks a little better! 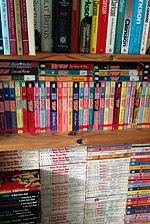 Everything from the old site and my even older review site should now be available here, and I’ll be adding in some further (backdated) stuff over time. I guess the biggest news is that I have officially graduated from my degree, so I’m now Tara Calaby M.Litt M.A. I was very pleased with my marks and am now investigating PhD programs, because I just really love study. In case it wasn’t blindingly obvious. I’ve also had a story accepted into Solarwyrm Press’s upcoming anthology, Marked By Scorn, edited by Dominica Malcolm. 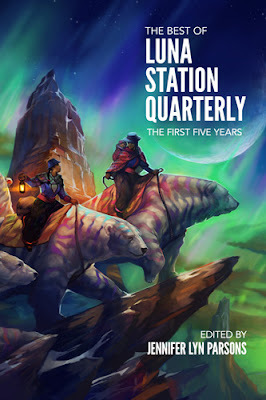 Malcolm’s last anthology, the Aurealis Award finalist Amok: An Anthology of Asia-Pacific Speculative Fiction was excellent, so I’m pleased to be a part of her next project. I haven’t been writing, but I’ve been thinking a lot about writing. That counts, right? No? 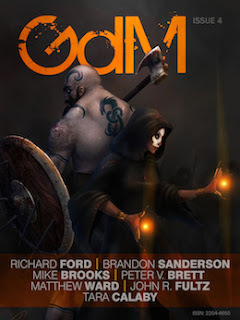 Last month, I posted exciting news about “Ashes” having been accepted by Grimdark Magazine. Today, I’m here to let you know that my issue of the magazine is now out, and also to show you the gorgeous cover art from Jason Deem. You can buy issue #4 through Grimdark Magazine‘s website, or as part of a first year bundle that includes writing from such notables as Mark Lawrence and R. Scott Bakker. It’s also available on Amazon. Back from the wilderness to make an exciting announcement. My piece “Ashes” will be in the next issue of the wonderful Grimdark Magazine, due out at the start of July. It’s a dark (Grimdark, even!) fantasy piece that looks at what comes after the Happily Ever After for Cinderella. More once I have a cover to show you and links to purchase. In other news, I have submitted my M.Litt thesis and am awaiting confirmation of passing that and completing the course. I’m also doing a lot of writing for Emerge Australia, an ME/CFS not-for-profit, and enjoying my Assistant Editor tasks for Luna Station Quarterly. 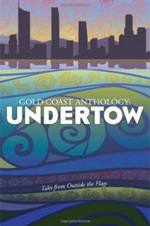 Firstly, Undertow is now officially launched and available for purchase on Amazon. My piece ‘Breath’, a historical ghost story, is one of twenty stories with links to the Gold Coast. I really like the cover art and am looking forward to getting my own copy so that I can read the other stories in the anthology. Secondly, I have actually been doing some writing. Will wonders never, etc etc. It’s a short play of approximately 20-25 minutes, called ‘Shadows’. Comprising of three monologues about three women with three secrets, it was written to exploit the enclosed theatre spaces involved in The Container Festival at Monash University. Hopefully it’ll be produced there later this year under the direction of Ephiny Gale. A couple of pieces of news today. 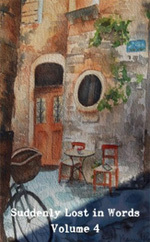 Firstly, Suddenly Lost in Words 4 is now available from Amazon.com and Amazon.co.uk. It contains my piece “Born To It”, along with eight other short stories for young adults – and older adults as well! “Born To It” is a short fantasy piece about a girl who possesses the ability to see into the future, and the reactions of her peers to her strange talent. I’ve not yet read any of the other pieces in the anthology, but am looking forward to doing so. In addition, it looks like my science fiction story “Icarus” will be published in the March issue of Aurealis, so I’m looking forward to that. “Icarus” is one of my favourite pieces, so I’m glad it’s found a good home. I’ve had some health stuff going on this past month, so there hasn’t been a lot of writing happening. I did, however, manage to finish a Australian ghost story, of around 2.5k words, so I was pleased about that, given everything that’s been happening. My short story and play for my M.Litt are currently with my supervisor, so here’s hoping he’ll like them and I’ll be able to focus on the critical essays about them, instead of lots of re-drafting! 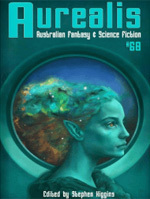 The biggest news this month is that my short story ‘Icarus’ was accepted for publication in Aurealis. I’ll update with an expected publication date once one is available. I found this pretty disappointing, to be honest, and I’m not sure how much of that is due to it being a bit dated in the modern era of more explicit violence and horror and how much of it is just my own tastes. The thing is, I generally really appreciate it when things are left up to the reader to read between the lines and to understand, instead of be told, but here it felt more like unfinished plots and ideas. I needed to know more about why exactly the boys were on the island to accept it as the basic premise, I needed Simon’s story to be related in a clearer manner and I needed there to be more consistency when it came to the narrative. At times, there were chunks of purple prose thrust into the story as description, but at other times there was a coarseness to the narrative that indicated it was being told with the voices of its characters. To me, that meant that neither style entirely rang true. 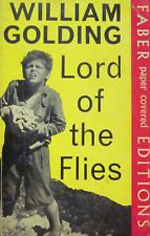 I’m sad that Lord of the Flies was a bit ‘meh’ for me, because I’d always thought it sounded right up my alley – both as a reader and as a writer. Perhaps the true glimpse of human nature can be found in the fact that I needed it to be darker and more messed-up for it to work.